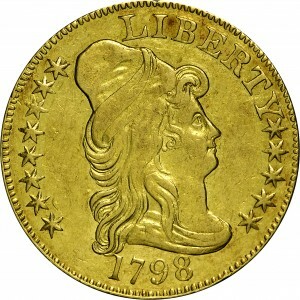 This is one of the rarest of all 1798 die marriages, with just two examples known to Walter Breen in 1966. 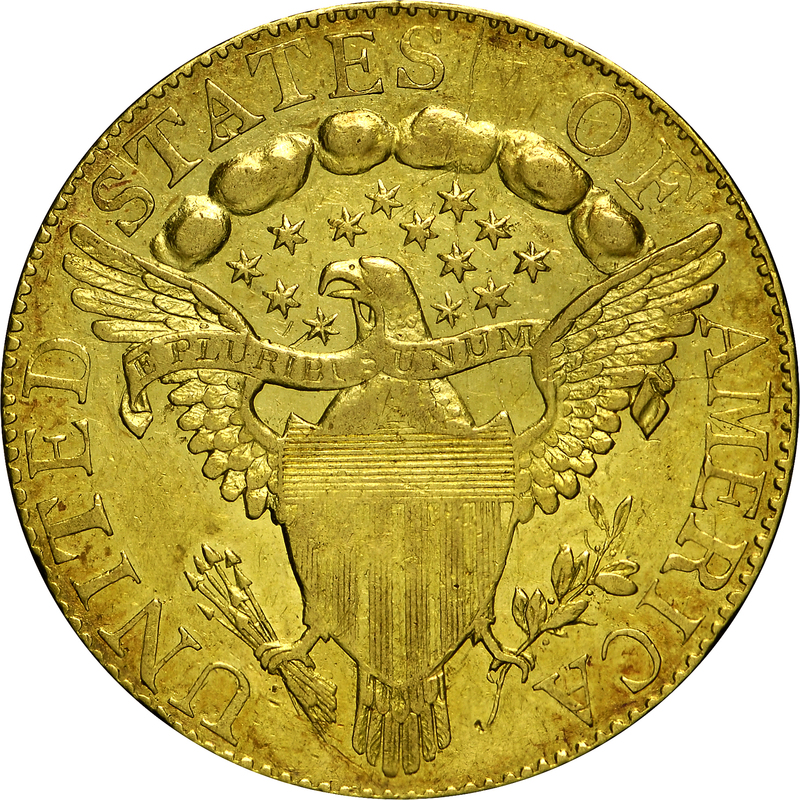 When Robert Miller, Sr., published his half eagle reference in 1997, he was aware of six examples. This population figure published by Miller appears reasonably accurate. Harry Bass acquired this example from the Norweb Collection. Albert Holden acquired this coin in 1909. His collection was later inherited by Mrs. Norweb. From the Bowers and Merena Galleries sale of the Norweb Collection, October 1987, Lot 743. 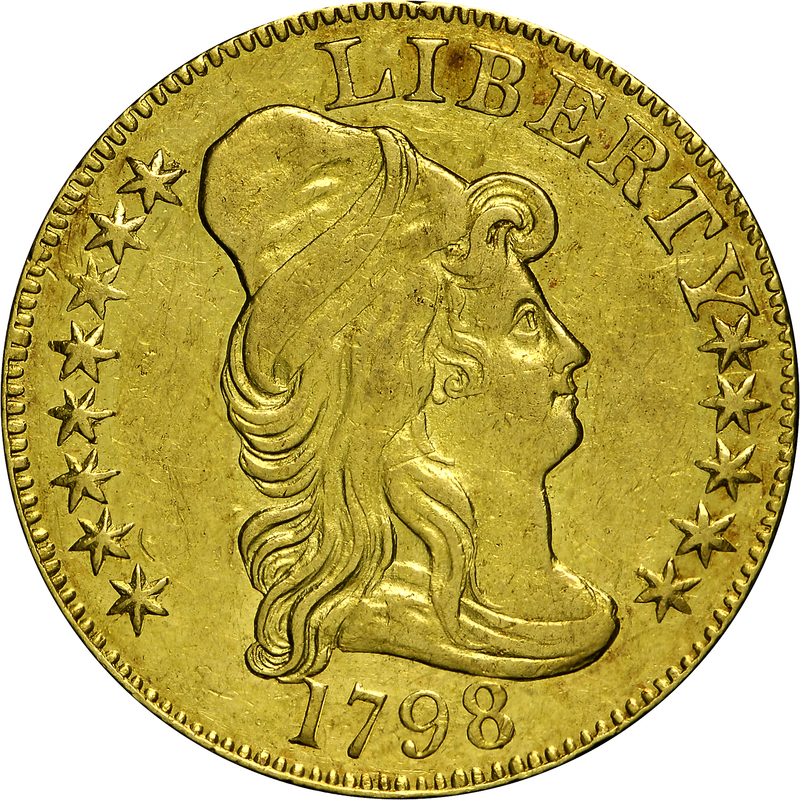 "Obverse: Small wide date. Top serif of 1 touches curl. 8 free of drapery. Reverse: Very small berries. Stem end has double curve. Crack edge - field after ES - cloud - stars - U(M) - shield tip - branch - A - edge. Another edge - M - left serif of A - ribbon - wing - shield tip."